A JEALOUS teen threw his girl friend off a canal bridge onto the towpath leaving her paralysed. 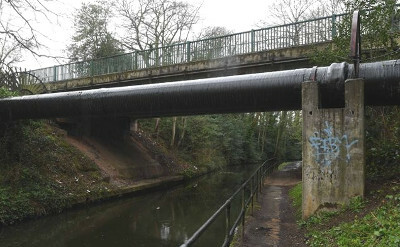 The 17 years old, who could not be named, accused his girl friend of being unfaithful, took her in his arms and slung her over the parapet of a Grand Union Canal bridge in Solihull onto the hard towpath below, Alan Tilbury reports. He left the girl paralysed from the waist down and having no control of her natural body functions. She will never walk again and will spend the rest of her life in a wheelchair, yet he avoids a jail sentence for his act. At Birmingham Crown Court the teenager who has not been named for legal reasons, was sentenced to a two-year youth rehabilitation order after admitting one charge of wounding. "This is as tragic as any human story can be. Her expectation of a healthy life, perhaps marriage with children of her own have been shattered. "She has no true independence and has lost her previous life. She requires assistance from others. Financially this has cost her family a lot. "No sentence that I am allowed by parliament to pass can ever compensate her for her loss or compensate her for her suffering." Judge Parker told the defendant's 'learning difficulties and slow development' had been taken into account, as had his guilty plea, and even if he had passed a custodial sentence, he added it would only have been a short one, under the sentencing guidelines.